Fashion was the farthest thing on my mind as I was growing up in the Philippines. I wore a school uniform from Kindergarten to College. My play clothes were shorts and t-shirt and my Sunday’s bests were mostly sewn and designed by my mother. I was thrilled to own jumpers made from chicken feed sack or rice sack fabrics. When I migrated in America in the 80’s, I was 20 years old but my clothes were a mishmash of designs, bargains and samples from my parents’ garment clothing company. 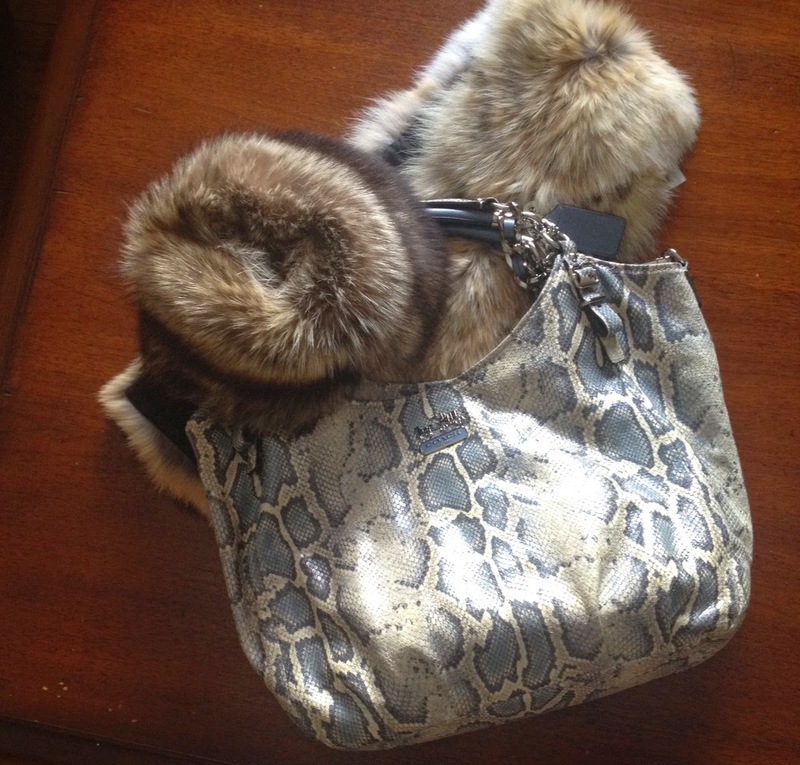 When I got my first paycheck, upgrading my wardrobe wasn’t in the budget. Only recently did I show interest in browsing through fashion magazines. Spring and summer seasons are easy to dress for because I enjoy wearing flip-flops. On the other hand, fall and winter seasons are a challenge because not every outfit goes with Uggs boots – and let’s face it, I need multiple layers of clothing from head to toe because it doesn’t matter that I’ve lived in New York/New Jersey for 30 years, my Filipino bones still get very cold. Last month, my friend E, who's a FW veteran reporter, posted on Instagram a photograph of the Mercedes Benz Fashion Week. Attending New York’s Fashion Week wasn’t on my bucket list (honestly, I don’t really have a bucket list), however, I got curious on how it would be like to witness a fashion show. The next day, my friend sent me a message asking if I was available to attend the Malan Breton’s Fashion show at the Mercedes Benz Fashion Week (MBFW) event at the Lincoln Center on Feb. 18th, at 9 AM. That was the beginning of the adventures of this Baduy Pinay ( Fashion-challenged Filipina). 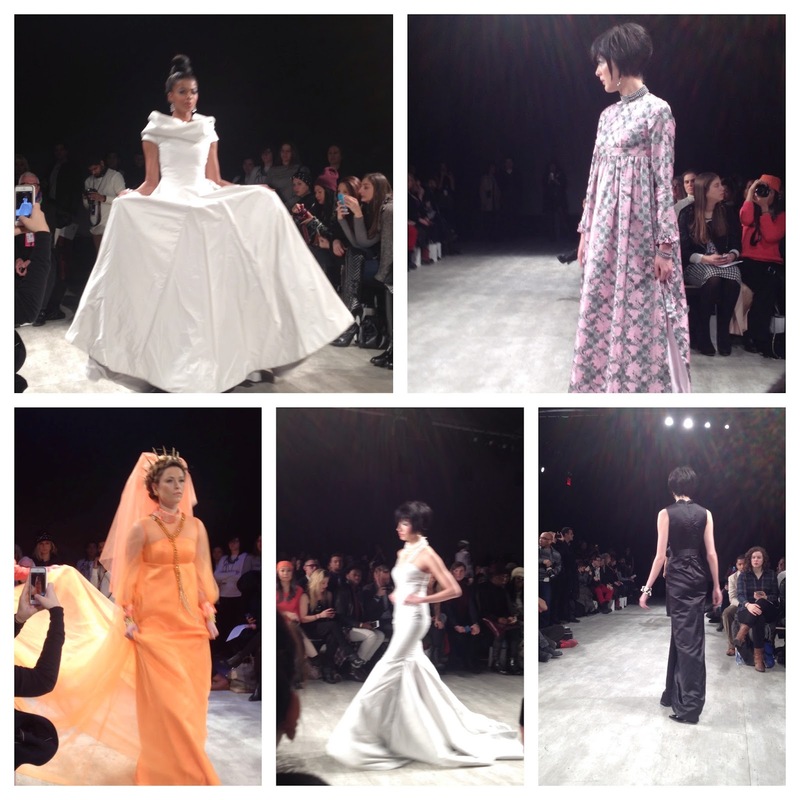 Weeks before the MBFW, I informed a few friends that I got a press pass to the show. They all asked me what I plan on wearing. It never dawned on me that there’s a dress code at these fashion shows. I was told people get really dressed up to these events – like cocktail-party-wedding-event dressed up. So I searched for “what to wear to Mercedes Benz Fashion Week” and bing.com/images returned 10 choices my closet didn’t even know exist. I figured I’d be in my black down jacket that no one’s going to notice what I am wearing anyway. So on February 18th, while I was waiting at StarBucks by Lincoln Center, I noticed a few tall, lanky women who were dressed as if it wasn’t 9 degrees in New York City. They were all decked in high heels, shawl, colorful coats, hats and sun glasses! I was seated at the corner all bundled up sipping my soy latte when I met a young man from Texas who was also waiting to get into the fashion show. He asked what I do, and of course all I talked about was my children. After going on and on about how wonderful my four children are, I remembered that I was there not as a mother but as a member of the press. So I added, “Oh, I am one of the co-hosts of MakilalaTV, the first Filipino-American television talk show based in Queens, New York.” , and handed him my business card. He talked about how tough the modeling business is and that how his friends warned him “not to wear anything V-necks” at the Fashion Week. Is there really a dress code at these events? Well, as it turned out – it really didn’t matter. There were men and women dressed so fashionably, and yet, there are those who weren’t. It’s not like people will laugh at you or stare you down. It’s like any other day in New York, therefore, just be you. I didn’t know anyone at the event. When the organizers finally welcomed those who didn’t have assigned seats, I didn’t know what to do. Where should I sit? What do I do? What do I say? 1) If you’re sitting in the front, you can’t cross your legs. You have to try to sit straight and hands on your lap because you don’t want to trip the models. I laughed because that would be me – with legs stretched out and hand gestures galore. A model would fall on her face and I will forever be blacklisted from any fashion events. It was hot inside the showroom. I was dressed in layers and heavy clothing that I was sweating. Going back to what to wear: Julia, who attends 5 of these fashion shows a day, was wearing a blazer, a shirt and a designer scarf. I read up a bit about the Taiwanese-born fashion designer, Malan Breton. I was amazed to learn that he started designing at age 11. He didn't attend any design school and yet, there he was at Mercedes Benz Fashion Week. When the lights turned off, everyone gleefully clapped. The show was about to begin. A lively music was playing the background. Frankie J. Grande, Ariana Grande's brother, opened the fashion show. Interestingly, unlike the rest of models who walked the runway in their usual stoic "stage" face, Grande was all smiles as he gracefully showcased Malan Breton's Fall 2015 Men's Collection of deep cranberry silk and brocade suit. He set the mood and captured the audience. The show was about 30 minutes. The fabrics were bold and bright. Aside from the traditional black, grey and white, there were a lot of pinks and oranges. There was a really ripped and toned male model wearing nothing but white men's Malan Breton briefs and a long grey angora sweater knit coat. I usually associate high fashion with outlandish designs. However, Malan Breton’s Fall 2015 collection is something anyone can wear. The designs reminded me of the movie, “The Matrix”, dominated with trench coats, fitted gowns and suits in traditional designs but with a twist. 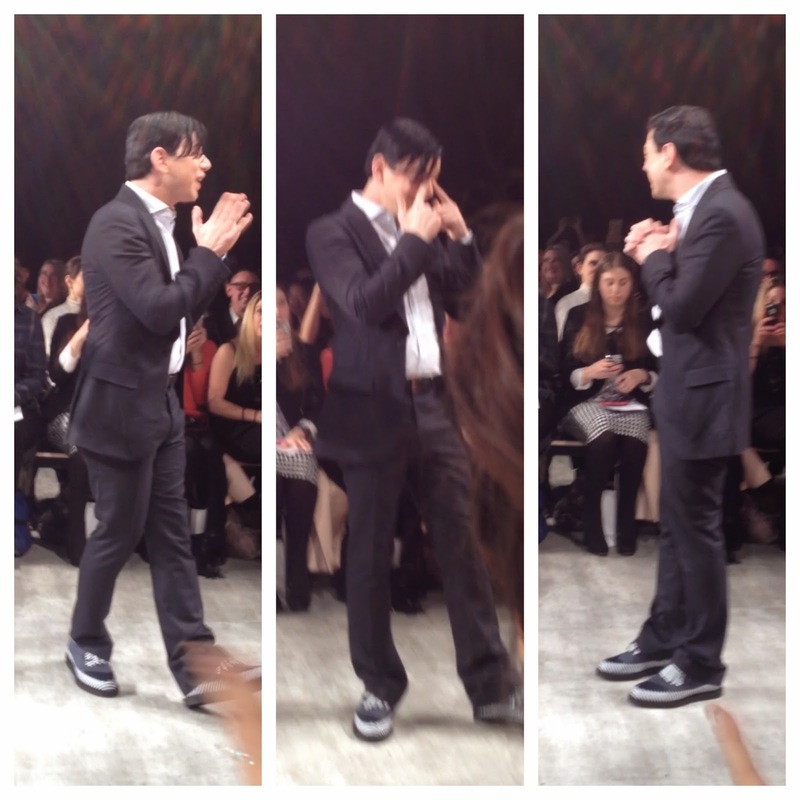 Overall, for me, the best part of the show was witnessing Malan Breton’s reaction at the end of the showcase. It looked like he was wiping away tears as he expressed his sincere gratitude and appreciation. Was he relieved that it was over and that his hard work in putting together the fashions show met his expectations? You can tell by his reaction that he’s humbled by the entire surreal experience. And of course, I couldn’t help think that his grandmother must be so proud of him. Can't wait for my next runway adventure! Also published at theFilAm.net: Attended by first NY Fashion Week, worried I might trip the model. Hi Mr. Urizar. Thank you for the information. I'll add a footnote in the blog. I'll try to schedule an interview with Ms. Pujana to know more on how she started, where she got her inspiration and to learn about any future events. Well guys!! I planned some NY events, but I need a professional event planner for managing all the things of events. Can anybody tell me about some trained local planner?